Kid's bedroom - Small bedroom decorating ideas fit for a princess! 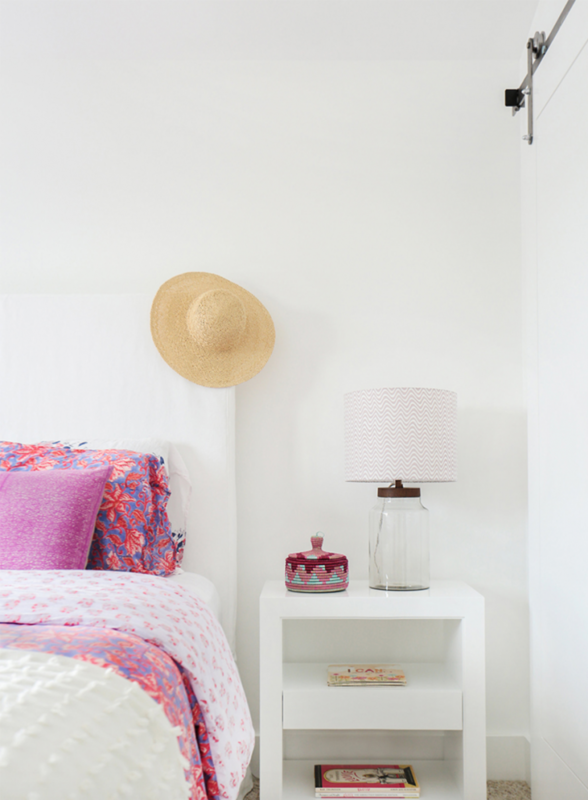 Decorating a kid’s bedroom doesn’t mean you have to skimp on style. In fact, it opens up a whole new world of exciting design possibilities, even for small spaces. It’s the perfect excuse to be as bold, brave or as magical as you want. 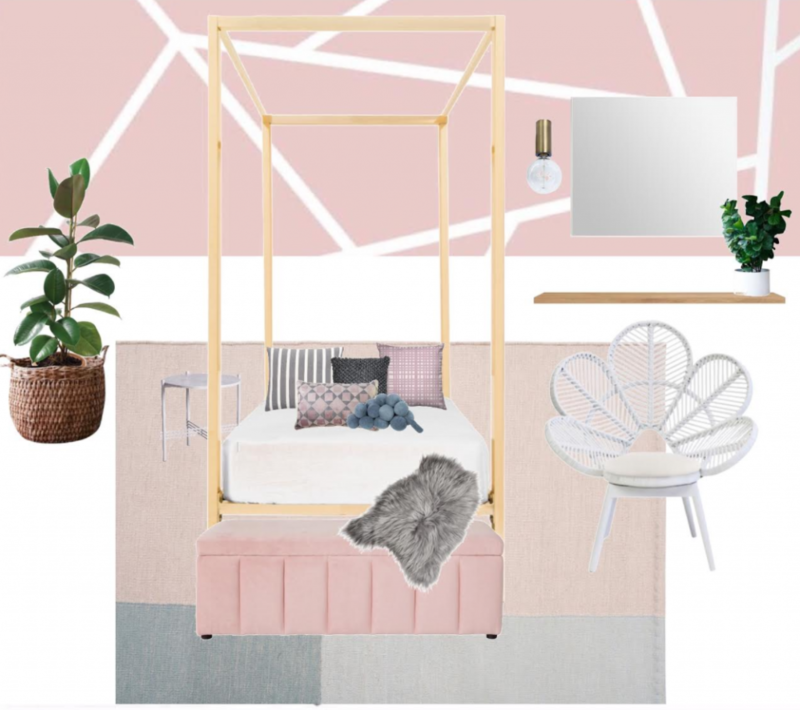 Whether designing for a little girl or teenager, Designbx interior designer, Elise Finnerty, shares top tips on retaining the right interior design style while spoiling your favourite girl… Let the fun begin! 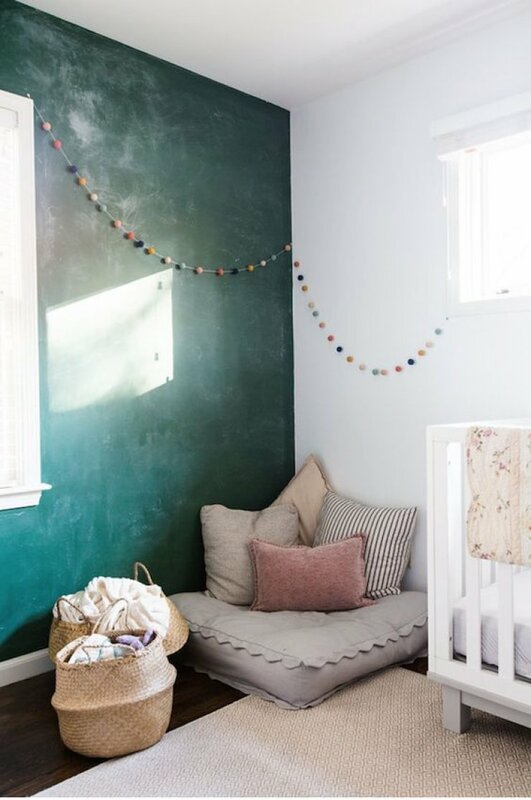 Decorating an amazing room that grows with your child calls for creativity and clever planning. 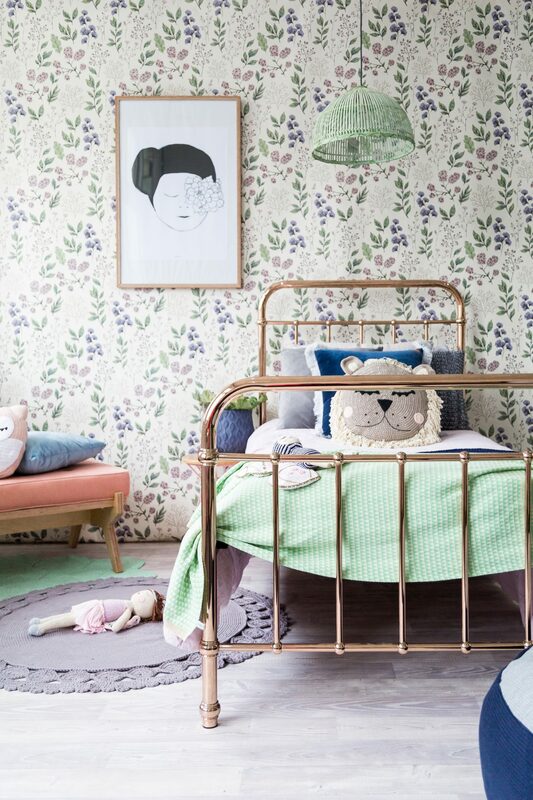 When you begin designing your child’s bedroom, it’s important to balance function, safety and style. Consider all the activities that are likely to happen in the room. Will it also serve as a playroom or study? Is there a chance it may eventually become a room for two? Let the activities, items and colours your child loves the most be your guide when you choose furnishings and accessories. 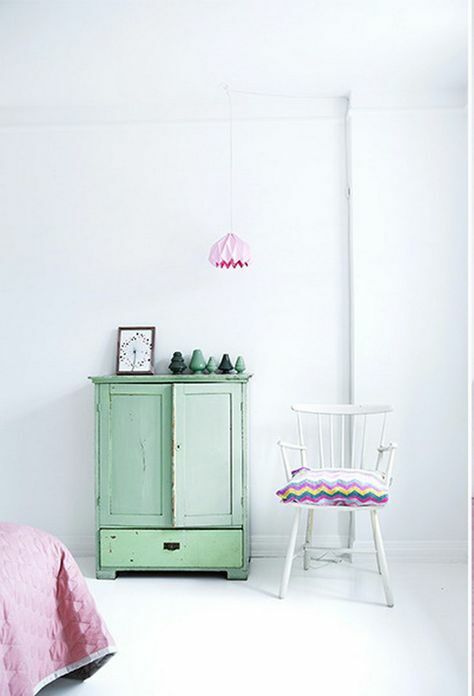 After all, it is a room for your little princess and you want them to really enjoy and utilise the space. Will they need a chair for reading? Plenty of open floor space for blocks and games? Factor in how their interests may change and grow as they get older. Toddlers often need a play table for arts and crafts while a school-age kid may require a desk. Make sure your plan allows for plenty of room to grow, change and evolve. For example, using a full-sized desk can work for a young child while supervised but they will also be able to use it at an older age; or you could use a shelf and adjust the height as they grow up. I like to use timeless pieces for the functional parts of the room, and then add personality with decorative elements so you can easily switch the old for new and change the overall theme of the room to suit your child. Plan and divide the room into activity based zones for easy flow and function. Planning adequate storage for the room is so important, not just for aesthetics but for functionality as well. You want the room to be used as efficiently as possible so let’s make it easy for your child to put things away and ensure the room is inviting, for them and you. 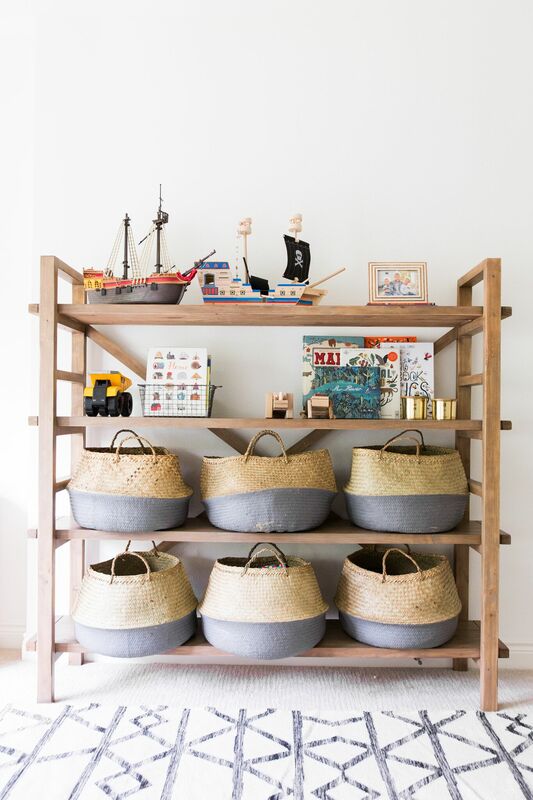 Using appropriate storage for each zone also makes it easy for your child to find things and put them all away. Shelves, bins and baskets should be easy to access. Choose storage boxes with a lid to hide any clutter or mess. This will also eliminate distractions when your child is using the room for homework. Wall hooks are also a great addition for storage as they won’t take up much space. And they also offer a massive bonus by assisting your child if they like to play dress-ups. A storage box or ottoman is great for cushions and blankets as well as toys, and it doubles as a seat too! 3… Texture, pattern and personalisation. 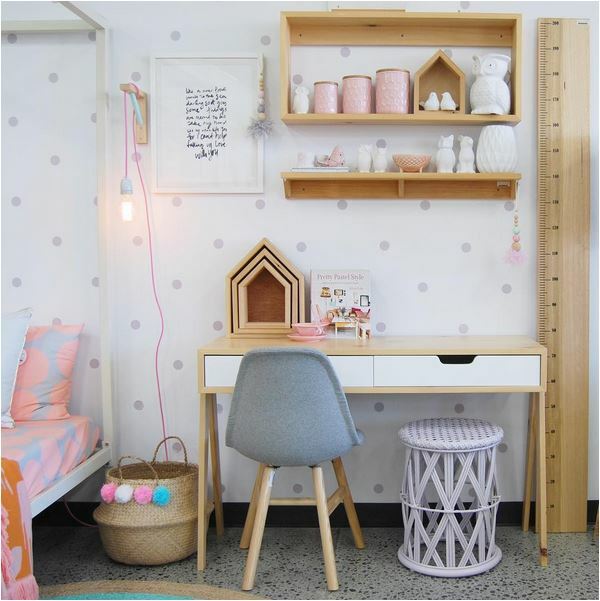 Whether it be a bedhead, cushion, wallpaper or bedspread, using different textures and patterns will make your little girl’s room ultra-personal and fun. Also, by keeping other décor items simple, the patterns will not only shine, they’ll also last your daughter from childhood through to her teens. Self-expression is a part of your little one’s life, so why hide important personal items that you really like? Display a few items for further personalisation on shelving, bedsides or desks. Try adding some fluffy and flowy elements like curtains, throws, faux hides, rugs and even canopies, to soften the room and create a luxurious ambience for your princess. Be sure to refer to the SIDS guidelines when planning your child’s rooms, and remember: safety first. If you are looking for help with small bedroom decorating ideas our design team are ready and waiting to create the perfect hideaway!